Ok, since I’ve had time to mull over how best to spend my my gift card money I thought I’d share what I got today. Also I know you’ve all been riveted in anticipation to see what I do about my embarrassment of riches situation with all of my running pullovers and wether or not I’m keeping the Ambition Pullover. First of all, I came to the impulsive decision to sell my Spirit Pullover which I love but have used just a few times. It’s a very warm pullover and I think it’s maybe just too warm for Vancouver winters and it’s wrong to keep items as museum pieces. Really, it’s just a few months of winter and I have enough pullovers to last this winter. I need to get a grip on my pullover collecting. There will be more pullovers next winter and I may very well be in a size 6 by then. That’s the plan at least. buy me but only if you love me and will let me live my potential. 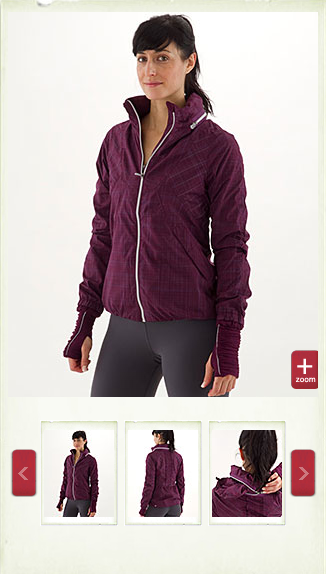 A lulu angel came forward to me and offered to order me a Hustle Jacket in Plum off the website. Hooray!! So I’m now replacing one superfluous pullover for a Jacket. In the end I ordered off ‘We Made Too Much’ the Dash Crops in Lilac to match my Lilac Inspire Pullover. I’ve always loved the look of these crops and have heard nothing but great reviews of them so I thought on markdown I’d be crazy to pass these up. 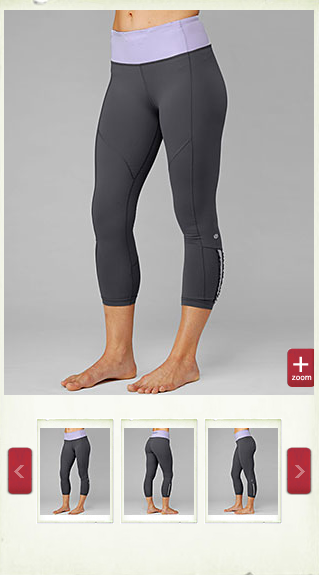 They will be my first Coal running tights too so I’m happy that they’re different enough from my Run Inspire Crops. I love that these have reflectivity in them too. 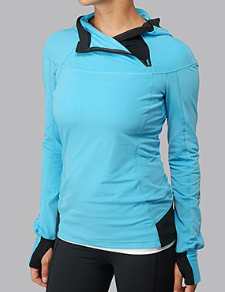 Thirdly, I’ve decided to keep the Run Ambition pullover after all. I love the color of it and the simple and comfortable design (here is my fit review). The added length is perfect for me and the weight of this will take me from Winter to Spring. I’ve run around the house a bit (as much as my sore toe allowed) and found that the neck ties don’t bother me with flapping around unless I cinch them up and leave them untied. Un-cinched very little of the ties are actually exposed and when I cinch it up I can just tie a bow in it to keep it from flapping while I run. 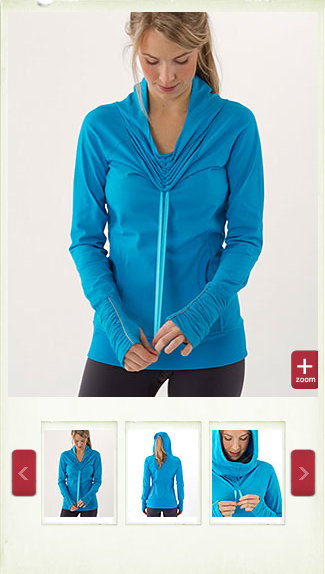 Of all the lulu I got yesterday for Christmas I must say I’m really enjoying my Wish Blue Scuba Hoodie most of all. I’ve been wearing it all day long and find I’m much more a plain ol’ solid colored scuba person. I’ll still have some gift card money left over after this closet shuffle and loot purchase to spend but I think I’ll be holding on to that for a while and using that for something with a new and great print which was my original lulu diet I had planned on sticking too. I’m looking forward to getting back to running hopefully later this week so that I can use my new Garmin and am glad I settled on some good running gear to re-inspire me. 4 weeks off of running has really gotten my mood down and I’m in need of returning to my old 3-4 days a week routine to get me some much needed stress relief. Maybe you’ll see a post run fit review of the Ambition Pullover by the end of the week. "Faded Zap, Passion and Snorkel Blue Microstripes ~ Scuba, Inner Awareness Tank, SE Cool Racerback"